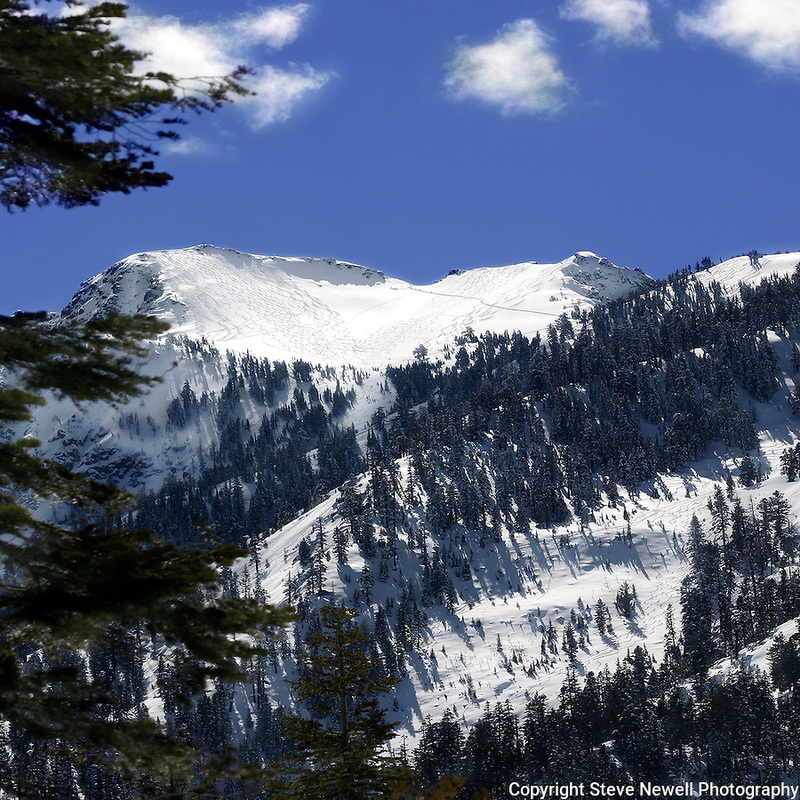 "Shredded Bowl" Mount Tallac- North Bowl located in South Lake Tahoe, CA. Yes Size does Matter!! When enlarged to oversize you can see three mountaineers climbing up the ski track in the North Bowl with a single mountaineer standing on the summit. There are 38 different sets of ski tracks down the North Bowl. It is not uncommon for a person to have so much fun skiing down that they turn around and climb back up. This mountain is a mountaineer's dream! !